Mika is a midlevel earth elemental. Her dreams are moderate—work hard, earn a reputation as a quartz artisan, and one day open her own shop. She’s no hero ... but a panicked baby gargoyle insists otherwise. 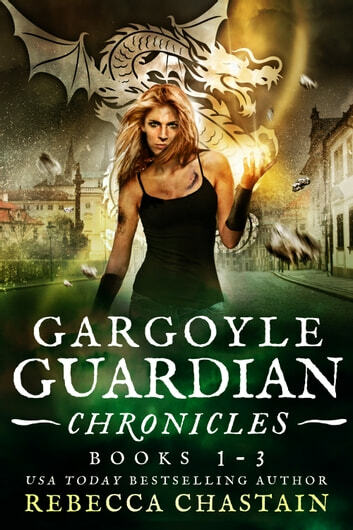 Mika is the only person the gargoyle will trust with its desperate mission. How can Mika say no to the helpless gargoyle’s pleas? 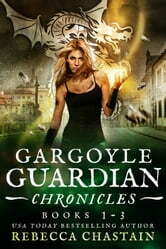 Brimming with epic magic and lovable gargoyles, the Gargoyle Guardian Chronicles will delight fantasy fans young and old. Find out for yourself why readers can’t get enough of this spellbinding world and all three exciting, action-packed adventures. It was a fun read and had various levels of twists. A wonderful read. It is really late but I had to finish all the books in this series. The author has built a world like ours but different in significant ways. Her characters are interesting and creative and you care what happens to them. Lots of action and a developing love interest makes it fun to read. I want a gargoyle as a friend. Enjoy all!